Maddie Smith is a recent Miami University graduate, and studied Social Justice during undergrad. 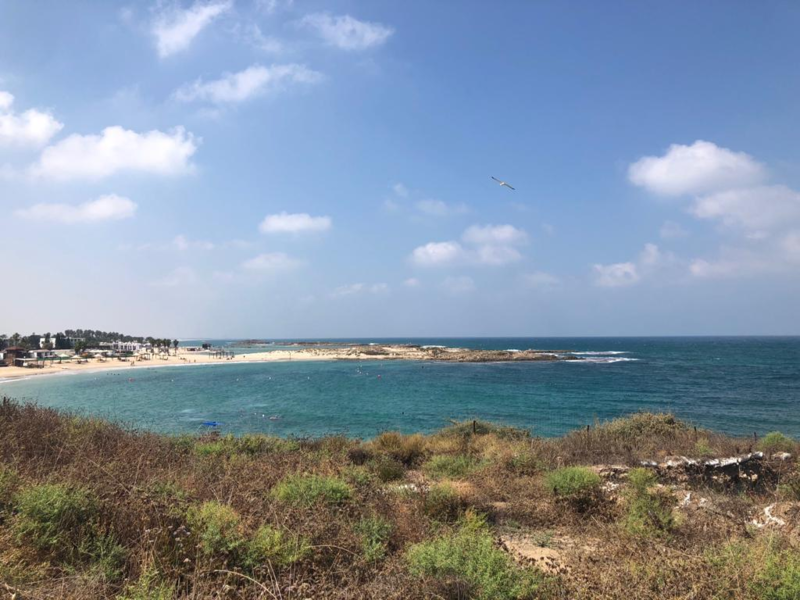 While in Tel Aviv, Maddie has been interning at a company called ZAVIT, a news agency under the Israel Society for Ecological and Environmental Sciences. 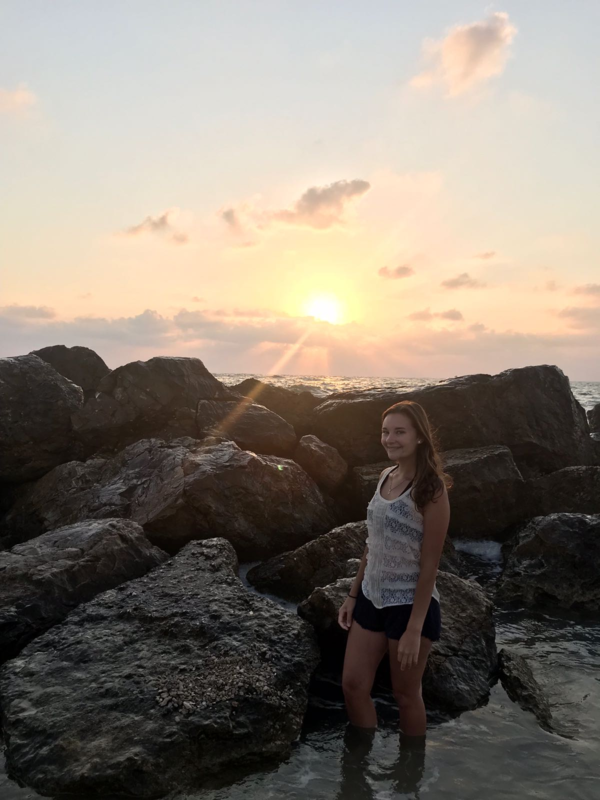 At her internship Maddie does research on and writes about the latest environmental newsworthy events such as Gaza fire kite destruction, reptile mapping projects, gas and oil drilling projects, and more. Maddie says she also updates the English website and helped run the annual conference on science and the environment. 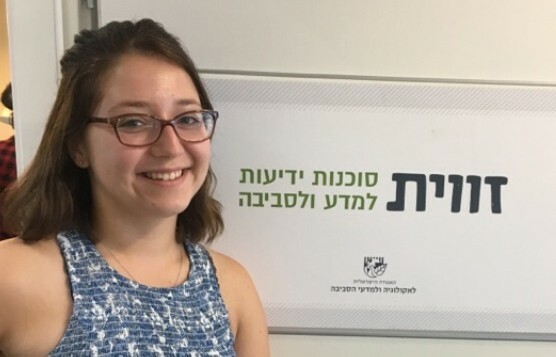 Maddie had an especially exciting week at her internship this week as she was published in The Jerusalem Post, and her article is also going to print! Bradley Bolotin will be a sophomore at Indiana University this fall. Brad works as a marketing intern at Casaversa, a home-swapping startup company in Tel Aviv. The idea of the company is to help people travel with zero accommodation cost. Brad creates new and exciting posts for Casaversa’s Instagram and Facebook page. Brad says he also spends a lot of time finding new members to join the Casaversa Facebook group and website. The big project he has been recently working on is finding a partnership opportunity for Casaversa. Overall, Brad says he has learned many valuable skills from his internship and is super excited to apply them into his studies at business school in the upcoming years. Cameron Foy is an incoming Junior studying Engineering at the Ohio State University. While in Tel Aviv Cameron has been interning for a company called Tethys Water Desalination. Tethys is currently trying to develop a portable module that can be placed near large bodies of saltwater, to clean the water. Cam works specifically with the development and building of the module prototype. He said he’s really been enjoying his internship and has learned so much from his time here. Bradley Bolotin (left) and Cameron Foy(right) hanging out on the beach together. Ali Richter is also beginning her Junior year at the Ohio State University. 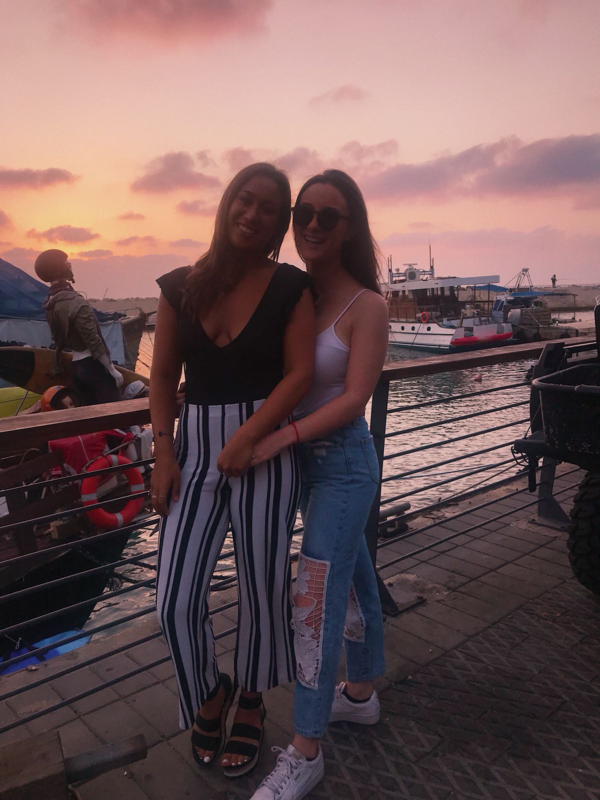 Ali has spent her summer in Tel Aviv interning at Boost Limited, where she does content marketing. Ali says that her internship has helped to give her better professional and communication skills. She says she has learned more about marketing and advertising, and that her internship has really helped her grow as a person. Ali doesn’t want to leave her internship and has loved every minute of her time here in Tel Aviv. Ali Richter (right) pictured with Sophie Greenberg. Reagan Heck is about to being her third year at Miami University in Ohio. This summer she is working at a small company called Windows. Reagan says one of their goals is to spread awareness and share the history of the Israeli Palestinian conflict. Since it is a small company, Reagan and the rest of the team work out of their supervisor's home. Reagan says that makes the work environment is very comfortable and casual. Reagan also says that since she has the opportunity to work with interns from all over the globe, she has gained new perspectives and ideas during her time at Windows. Reagan says she’s had the most amazing summer and is so thankful for the Onward program and all it has given her. Reagan Heck hanging out at the beach for sunset! Week six of our onward program was busy and full of excursions, events, and activities for the Cincinnati group. At the beginning of the week, an event called the TAU Innovation Conference took place in Tel Aviv. The TAU Innovation Conference was an event where people could network and learn about Startup companies in Israel. If you’ve been keeping up with my posts the last few weeks, TAU might sound like a familiar name to you. That is because two of our program members, Ivan Meisner and Maddi Weiler, are both interning for TAU Innovations this summer. The two helped put the conference together and got to attend all 3 days, including a VIP event! On Tuesday night a few of the members of our group got the chance to welcome Ethan Litvan back to Israel. 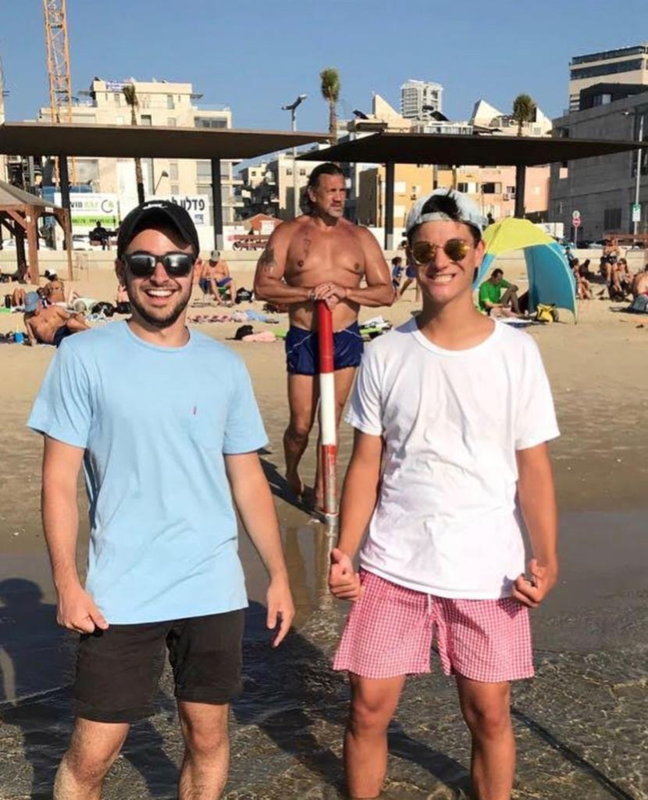 Many people on our trip can thank Ethan for helping to connect us to our internships in Tel Aviv and to the Onward program. He recently moved to Israel to pursue his Masters at Hebrew University in Jerusalem. The few of us who got to see him had a lot of fun catching up and telling him about our experiences so far. The next morning, we all woke up early and took a trip to the Northern part of Israel for a day of new activities. We hiked around the beach and also got to see an old temple being excavated, as well as scuba divers working to excavate ruins in the water on the shore. The view was beautiful and we heard from some of the people excavating. They spoke about the ruins and the people who used to live in the area hundreds of years ago. After walking around the beach, we all went to a park that was closer in town to have lunch together. We also had some free time to explore the area, and the group got gelato as an after-lunch treat. View from our hike in the north. Once we had all finished up our gelato, we got back on the bus and rode to Tulip Winery for a short wine tasting. We learned about the various wines and the winery itself. Something cool about Tulip is that it is right next to a small village that is especially for people with mental disabilities that are considered high functioning. Tulip Winery helps to employ some of the people from the community. Following the winery, the group piled back on the bus and headed to our last stop: a Druze village. We were taken on a short tour around the village to see what it was like and to learn about living there. We learned about how the Druze in Israel also serve in the IDF and that as a community they are very loyal to the country they live in. 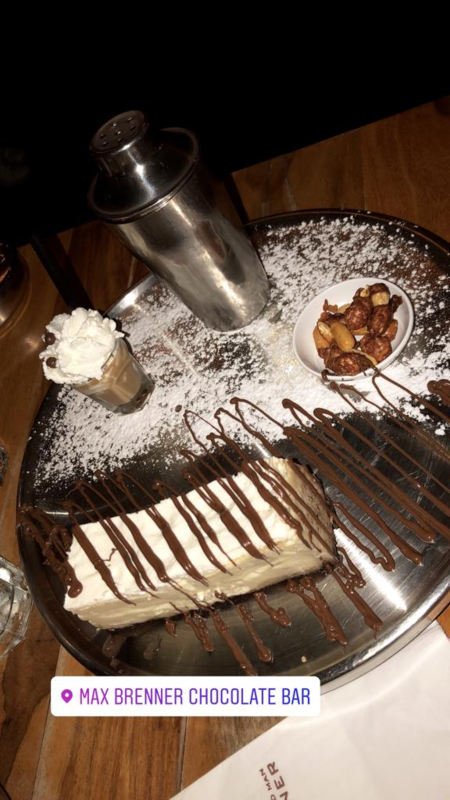 Dessert from Max Brenner, a popular chocolate restaurant located just a few blocks from the apartment.